What if I don’t believe in past lives? 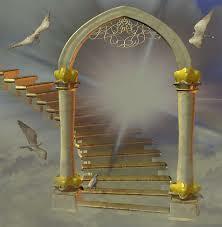 It is not necessary to believe in past lives if you wish to experience the benefits of past life therapy. You could consider it as suppressed emotions or imagination, and still benefit from the session. Will I remember what I saw? The state of hypnosis does not knock you out of your consciousness as commonly perceived. Most people remember everything that transpired through the session, when the session is complete. Some even continue to remember more details about their past lives after the session is over. What if I see a horrible past life, will it affect my present? This is a common fear, and a valid one. What if you saw that you were a murderer? Or that someone you trust in this life killed you in a previous one? But therapy is about healing the past, and even if you do see something ‘bad’, you will be led through healing, so that such an event wouldn’t affect your present anymore. More so, if it is a really bad incident, your therapist could simply erase that memory with your consent, so that you wouldn’t remember that incident when you woke up. What if I get stuck in a past life? Hypnosis is a state we experience in our daily lives. We are hypnotised when we are dreaming, when we are watching tv, or even when we are completely engrossed in conversation with a friend. A state such as ‘lost in a past life’ does not exist. It is like asking, what if I get stuck in a dream, will I be able to come back? Getting stuck in a past life is not possible. Will I share private details about my life without my knowledge? Hypnosis is not a state where you are out of your consciousness. You are in control of life, you will be aware enough to not talk about it. If it was really possible to control others through hypnosis, don’t you think expert hypnotists would hypnotise other people into, say, giving them all the money they have? Can Past life therapy help me resolve my sufferings due to karma? Karma is not a punishment system, but a learning process. We have committed actions in the past because of ignorance and lack of understanding of the other person’s pain. Karma is the process of showing us that pain and making us empathetic. Instead, unfortunately, we get stuck in cycles of hatred and anger, refusing to learn the lesson and making the incident ‘personal’ and repeating the incidents through lifetimes. Past life regression therapy helps you realise the futility of this attitude, and heal the negative emotions, thereby helping you let go of the patterns. What if I make up stories instead of seeing my past lives? If you make a conscious effort to trick your therapist with a concocted story, you might just succeed. However, when you are committed to healing, and you are paying for the session, it is unlikely that you will try to trick your therapist consciously. If you are seeing false past lives unconsciously, that is if your suppressed desires are being expressed as past lives, that is quite alright from the therapy perspective, because this will help you resolve those desires and you will be able to move on to real past lives after that. One session is enough for most if all they want to do is see a past life. However, if deep healing is sought, more sessions might be required. 5-6 sessions is usually a good idea. Are there any side effects of Past Life Regression? If serious issues were resolved in the session, sometimes clients may find themselves disoriented, slightly irritable or unsettled. This is, however, a part of the healing and fades away in a few days.